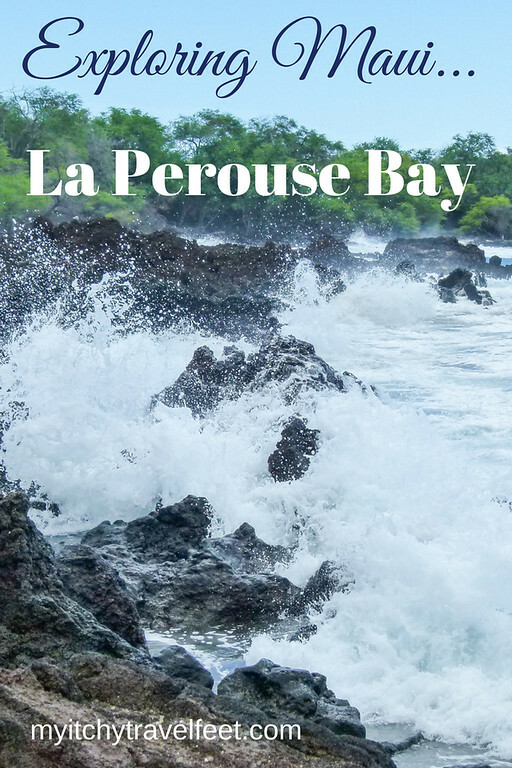 Updated 08.19.2018: When you’ve soaked up all of the rest and relaxation that a Maui resort provides, it’s time to go off-the-beaten-path to explore La Perouse Bay (Keoneʻōʻio in Hawaiian). 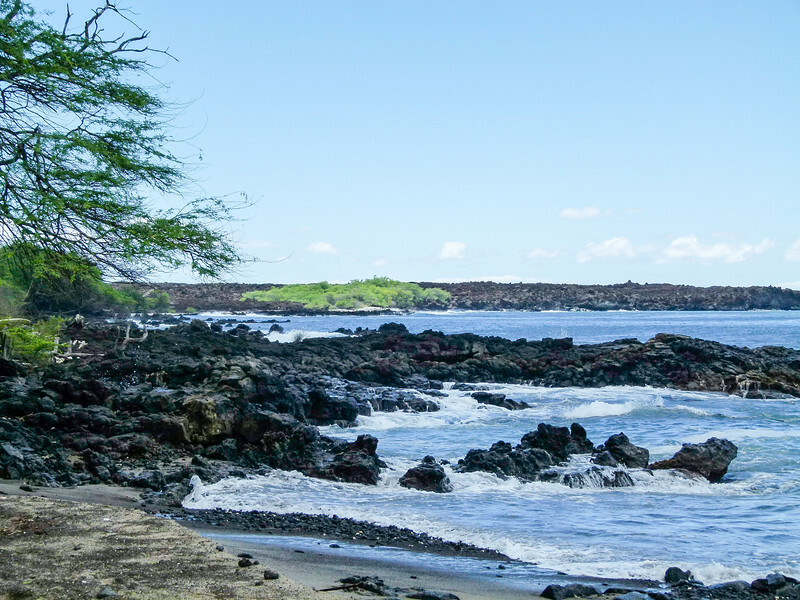 When I visited The Valley Isle as a guest of Visit Maui, I took time out from luxurious fun for a scenic drive and boomer travel adventure at the end of Makena Alanui Road, on Maui’s south side. After leaving the manicured resorts in Wailea, writer friend, Sally Clausen, and I motor along Wailea Alanui Road past Makena and the beautiful Big Beach. We leave one paradise for another as the narrow, winding road hugs the coast. Rather than pristine and luxurious, this paradise is a jumble of rural life, one with fruit stands next door to palatial vacation homes hiding behind rock walls of native stone. Big Beach is definitely worth a stop. We drive past the jagged, black lava flows of Ahihi Kinau Reserve. 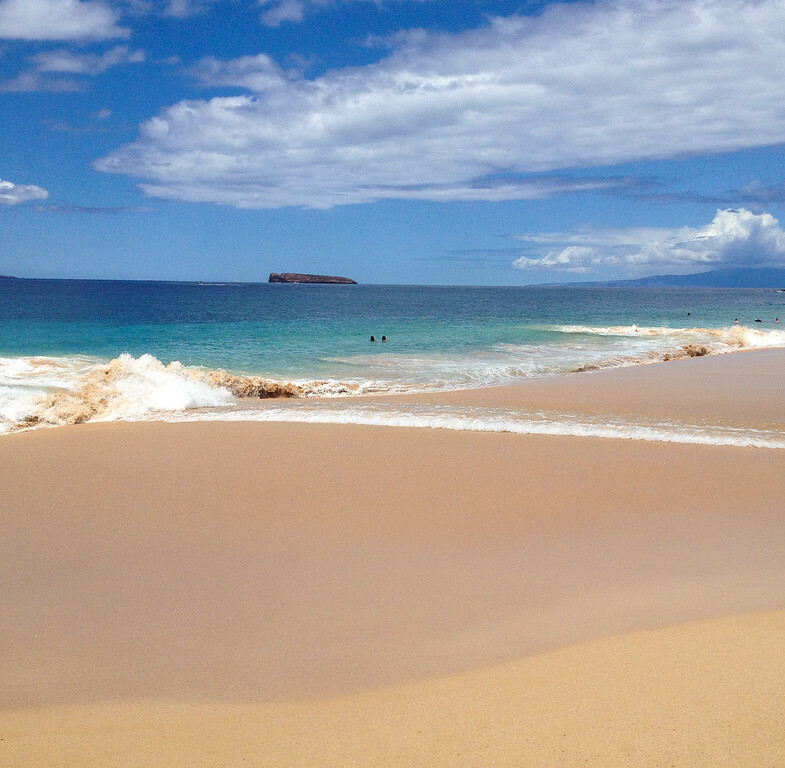 The reserve, which houses archaeological ruins, is also home to one of the best places to snorkel in Maui—Waiala Cove. During my time on Maui, the reserve was closed for rehabilitation. See what overuse and disrespect for the rules can do to a place? 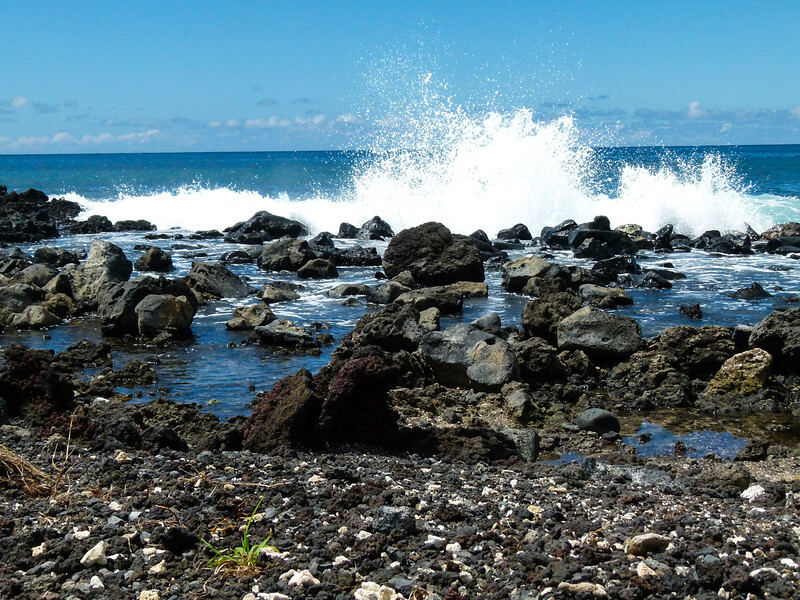 Currently a one-mile section of beach on the northern end of Ahihi is open at Waiala Cove. If you’re planning to snorkel or scuba dive, check at the website to see if the beach is open as sharks are often spotted here. Of course their presence closes the waters to recreationalists. A gravel parking lot marks the end of the road and the beginning of an off-the-beaten-path adventure exploring La Perouse Bay. It’s also the spot where the first European stepped onto Maui. When French naval officer, Jean-Francois de Galaup Comte de Laperouse, set foot here, four villages dotted the tropical landscape along the slopes of Haleakala volcano. In 1790, Haleakala erupted, destroying the villages and covering the area in a’a lava. After exiting the car, Sally and I stand at the edge of the parking lot to watch surfers and paddleboarders negotiate the waves. When parking at La Perouse Bay, lock your vehicle and hide all valuables. Better yet, leave the valuables back at your hotel. Wear a hat, reef-friendly sunscreen (only zinc-based lotion is allowed if you’re snorkeling at Waiala Cove). Sturdy, closed toe shoes are a must if you plan to walk around. But if you’re plans include the King’s Highway trail, wear hiking boots! Bring extra drinking water because it’s hot and dry here! A trail leads through the lava, evidence of Maui’s most recent volcanic activity. Part of the historical King’s Highway (or Hopaili Trail), this path once circumnavigated Maui. It’s a fine place to photograph wave action as the wild Pacific powers over the black rocks in La Perouse Bay. Waves crash against lava rocks. Photographers will fine plenty of scenes to capture. Sally and I walk as far as time and the wrong shoes allow. The sharp a’a lava rock is unforgiving if you fall or wear thongs or open-toed shoes. The lack of proper shoes and cooler clothing (it’s hot when the lava absorbs the sun) curtails our explorations. The ocean escapes through a blow hole. Although we don’t walk the entire path, the graded trail continues along the coast to a scenic point. 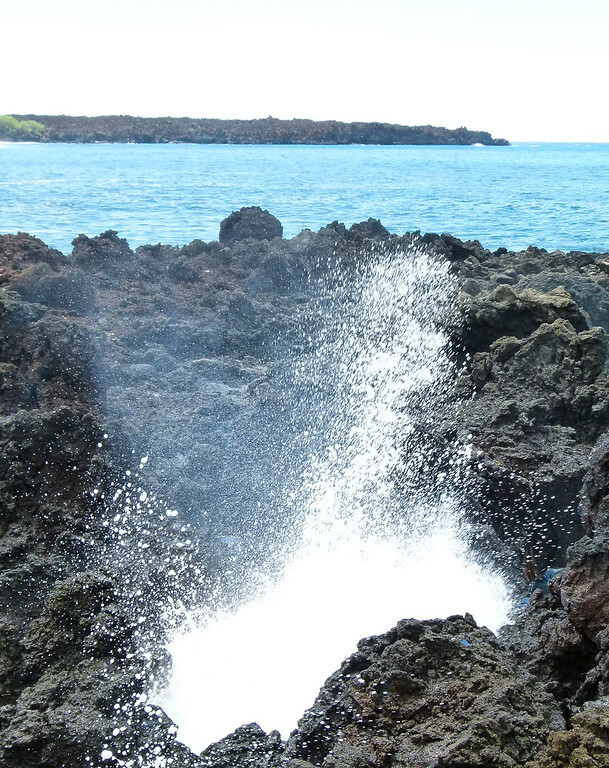 Along the way, you’ll see blowholes, protected archaeological sites and beaches. Yellow tape marks areas in the lava field that are off limit. The next time I visit Maui, a return to La Perouse Bay is on the to do list. And I’ll be wearing the proper shoes. Have you been? Join the conversation at the My Itchy Travel Feet page on Facebook or send us an email to ask a question or share your experience. 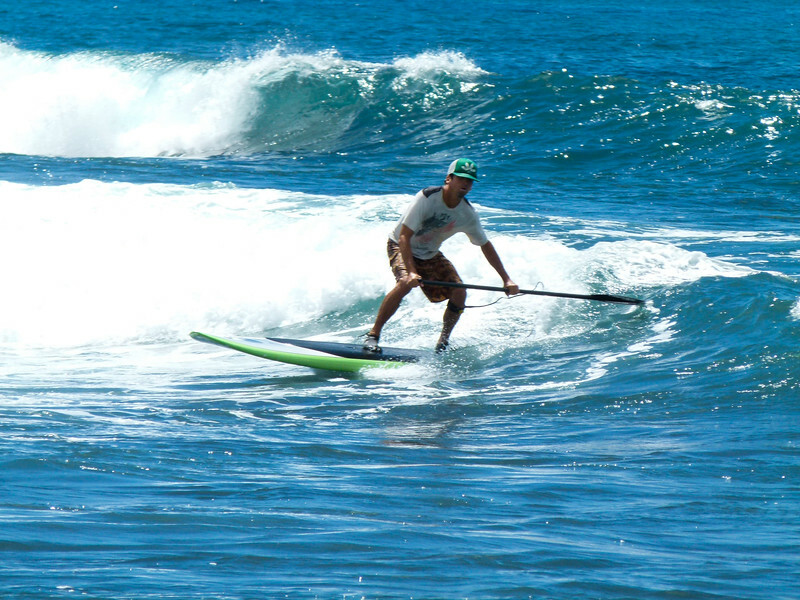 Check out Boomer Adventures in Maui for more articles on fun things to do. Disclosure: Visit Maui provided this travel experience the opinions are strictly my own.